This entry is filed under Organization. We have quite a collection of glass vases and planters in our kitchen cabinets and garage. Some we bought, some we got for our wedding as well as others, some are from flower arrangements my sweet husband Gary had bought for me, and a lot of them are from our orchid days and when we were trying to have our own indoor herb garden. Over the years I have used them for flower arrangements around the house, as fish bowls, for loose change storage, and as snack serving bowls (don’t worry I washed them really, really well). There truly are tons of uses for them other than just holding flowers, so next time you are at a wedding make sure to collect all the unwanted glass vases because they can be an elegant and functional way to store and display things. Aren’t these ideas clever? I especially like the glass vase that serves as a toilet paper holder. I know it is always awkward when the toilet paper runs out and the guest has to search for it by digging through the host’s bathroom cabinet or, god forbid, even worse when they have to ask for some. This is a good looking way to store the toilet rolls, and you’ll know at a glance when you need to refill some more. 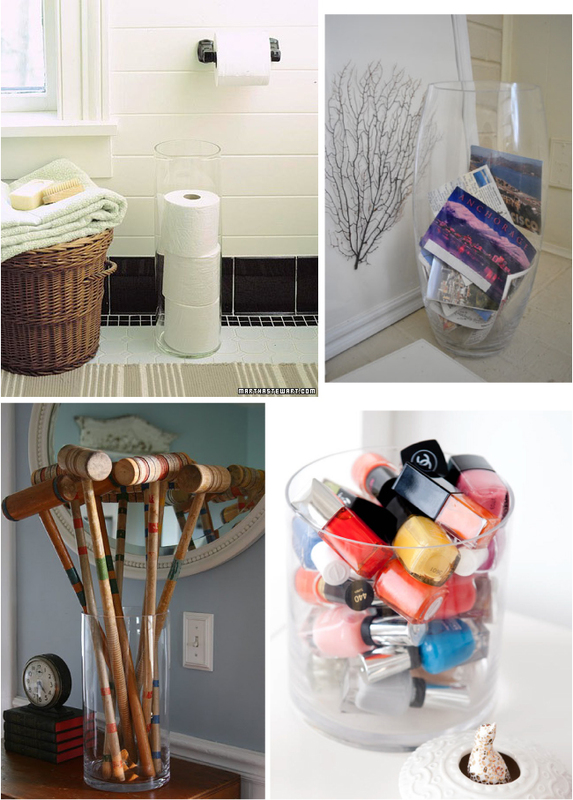 Nail polishes stored in the glass vase can be a playful way to add some color to the white bath counter and/or dresser. Glass vases can also be use as planters; it is a modern and sleek way to grow plants. 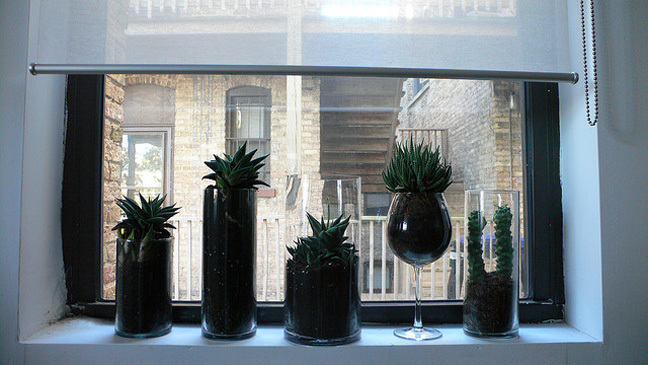 I am tempted to buy some succulents and plant them like the image, but knowing me, I will just end up killing them. 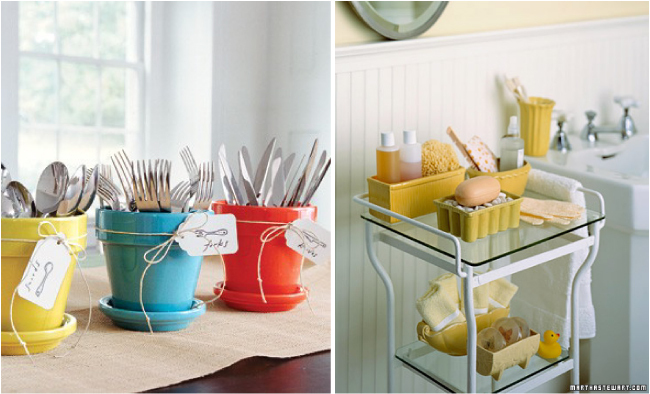 Finally, here are some beautiful ways to re-purpose all the planters I have sitting in the garage.